Love4colors.com is a site for members only. This means that in order to get access to love4colors graphics you will have to be a member. 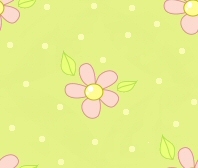 As a member you will get access to all the free linkware graphics, several different craft tutorials, you can learn how to build your own website with the html school, and even learn how to draw yourselfe with the pixel school, or why not use the outlines to make your own love4colors graphics. As a member you will also get acess to the "do it yourselfe" section, where you can make your own graphics, sigtags, adoptions, backgrounds etc. with the wonders of drag n drop. You are welcome to take a tour on the site, at some sections you can see samples of some of the graphics that are available. But you will have to be logged in to access the graphics.